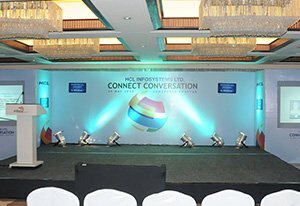 Conference and Corporate Events are one of the most notable and important event in ones profession. We take immense care to help you fulfill your target by managing the event smoothly and make the event a memorable & unforgettable one for you and your audience. Our expert team of event management will take care of the necessary details and come up with a customized plan just for you. Taking care of everything right from minute details like stationary and AVs to major ones like venue selection, catering, accommodation, logistics and communication with every participant for smooth functioning of event in well orchestrated manner you can trust us. We incorporate innovative and latest technology to make sure the event is a big success. Product Promotion and Launching can be a nail biting and nervous time for the company which has invested lot of time, money and hard work in its development. But don’t you worry, we’ll handle it for you in the best possible manner. Our dedicated team of event management will lay out a plan for your product and get you the best launchpad for your product. We provide creative and out of the box innovative ideas for promotion and marketing in your budget. Exhibitions and Trade Fairs is an opportunity for the company to showcase its ability to many of the retailers, vendors & distributors and also connect with the customers face to face. It helps the company know the latest market trends and understand the people’s need first hand. Our team of event managers will make a well tailored plan to suit your company and the industrial needs. We’ll take the complete responsibility of handling and managing the event saving your precious time. A Customer Dealer Meet is a place where you can sell product & build trust and relationships. By understanding your needs and requirements we can make an appropriate plan for the event. We help you achieve your goal of the event by smooth functioning of the event. We’ll get you the best ideas for making the event a big success. We offer our services in many other cities pan India. © Brite Entertainments All Rights Reserved.